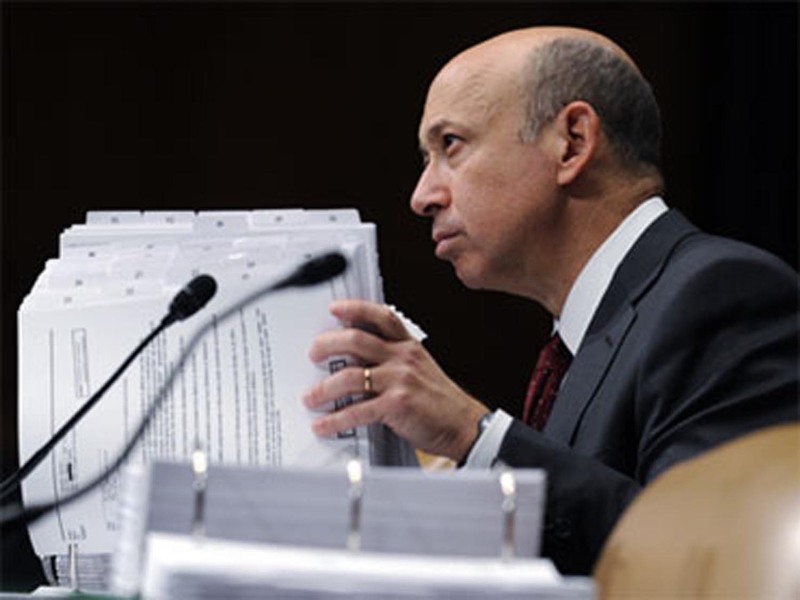 Goldman Sachs representatives did not immediately respond to a call seeking comment. A group using the handle "CabinCr3w" took credit for the data dump, but did not say why Blankfein was targeted. Goldman Sachs benefited from the U.S. government's bailout of insurance giant American International Group and is accused of practices that contributed to the economic crisis. On Monday, CabinCr3w released information about a New York police officer who is seen in videos spraying pepper spray into the faces of women protesters who are penned behind a police barricade net at the "Occupy Wall Street" demonstrations. The officer, identified as Deputy Inspector Anthony Bologna via videos and close-up photos of his face and name on his badge, appears to walk over to the group of women and spray them directly in the face unprovoked. A case of false arrest and civil rights violations is pending against Bologna in a claim brought by a protester involved in the 2004 demonstrations at the Republican National Convention, The Guardian reported. New York Police representatives have not responded to a CNET request for comment on the pepper spray allegations, but told The New York Times that the pepper spraying was appropriate and alleged that the video was edited, a claim that legal advocacy group USLaw.com, which analyzed the video in slow motion, denies. In a Tweet yesterday, CabinCr3w says "To the people asking...we are part of anonymous [SIC] just a group of like minded people taking on the world." Hundreds of people have camped out in Zuccotti Park and 1,000 or more, including filmmaker Michael Moore and actress Susan Sarandon, have joined in protests and street marches as part of the Occupy Wall Street movement. The group, whose protests are in their second week, is calling for an end to the "monied corruption of our democracy" in the U.S. and is borrowing a page from the Arab Spring uprisings that overturned several regimes earlier this year. The Occupy Wall Street organizers claim that the protests are spreading to more than 50 U.S. cities and span at least three continents.